Fox News had quite the night this past week. They hosted Presidential Town Halls with every candidate still running (including both Democrats). This past Wednesday, they had four consecutive hours of programming dedicated to a town hall with each Republican presidential candidate. 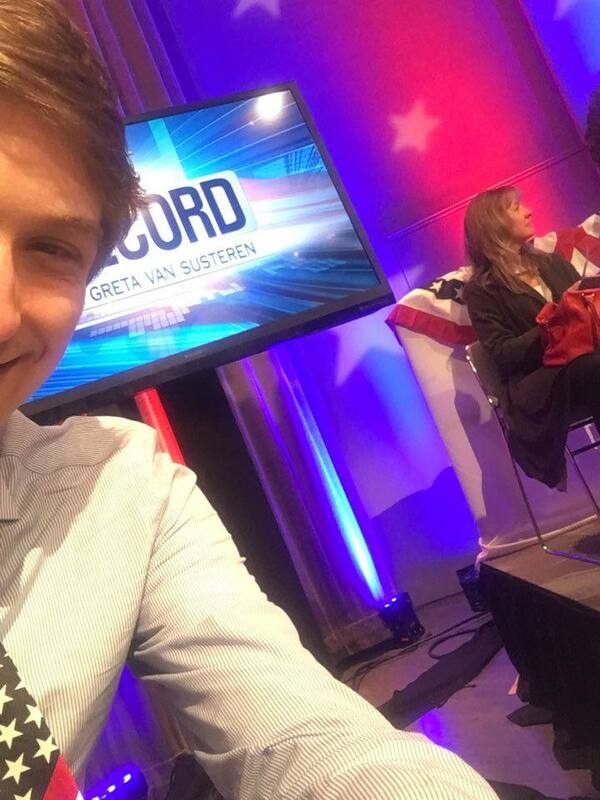 The reason I think this is particularly noteworthy is that I brought about 25 other College Republicans from UChicago to the filming of On the Record with Greta van Susteren, where Governor John Kasich was the guest for the night. 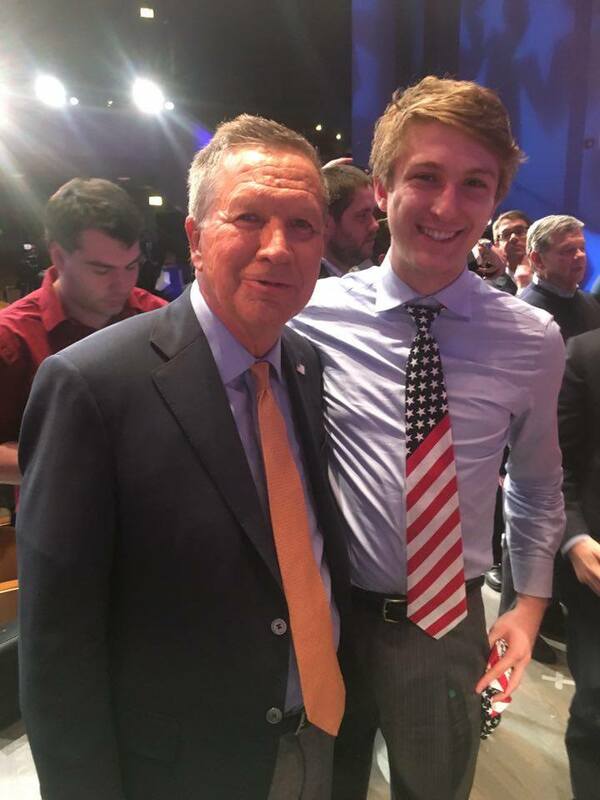 This is now the third time I’ve brought a group of College Republicans to meet Governor Kasich. The first time we met him we got to watch him eat a hot dog, the second time we met him he asked me a question, and this time he would be in the hot seat. Kasich might have had that hot seat but I had the best seat in the house. The last time I was at a filming like this was at the Republican National Convention in 2012 when I had walked onto the stage of a filming for Hardball. 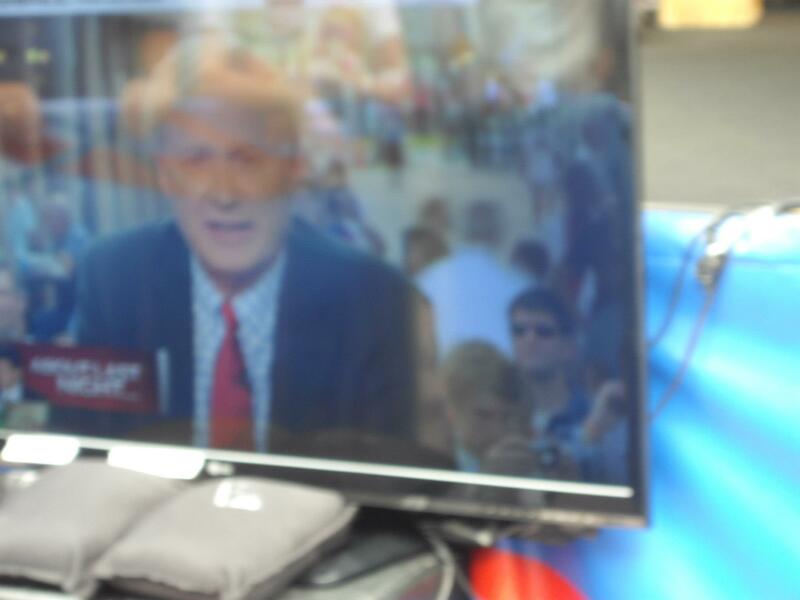 However, this time I got to sit on the main stage, right over Greta’s shoulder. If you’re like me, you’ve probably wondered who gets to sit on the stage and ask the questions, and who gets a spot in the audience. The short answer is I have no idea, but here’s what happens. If you look closely, I’m in the bottom right corner, holding a camera (because we didn’t all have smartphones then!). I got emailed about being in the audience for the debate, and in it I was able to list a question to potentially ask Governor Kasich. While I wasn’t chosen to ask a question, for whatever reason they decided to have preselected me to sit on the stage (in the email they asked for links to social media and I included the link to this blog, so I’m sure that had something to do with it!). Once I got to the Spertus Institute of Jewish Learning and Leadership I checked in, where they had four colors of stickers. One for campaign staff, one for the audience, one for people on stage, and one for the questioners. After going through security, everyone hung out in a large waiting area. Then those of us who were going to be on stage walked over and were seated, where we stayed for a while. Once everyone in the audience was seated as well, Griff Jenkins (who’s one of Greta’s reporters) entertained us. His assurance that an hour of television goes by a lot faster than it would seem didn’t mean too much to me at the time, but it was definitely true. Kasich lucked out since I had several questions ready for him. 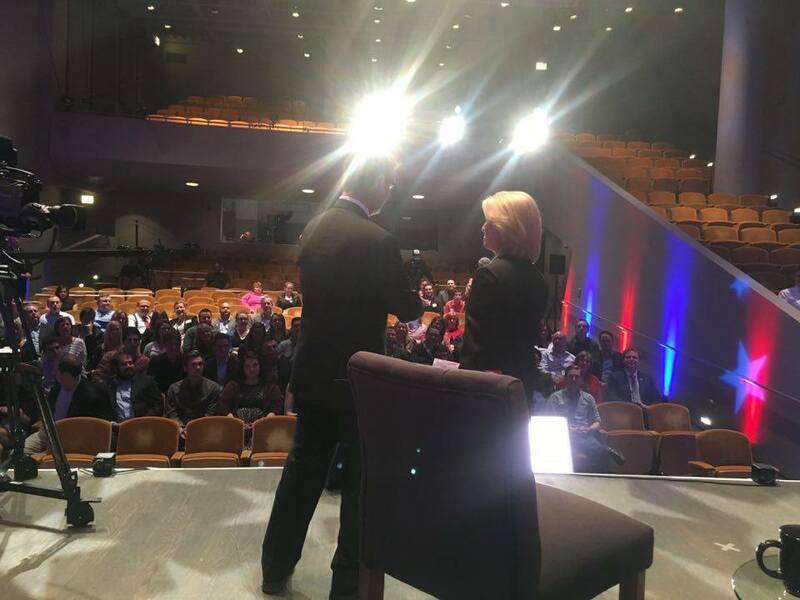 A few minutes before the top of the hour, Greta came onto the stage and she was joined by Kasich. Kasich told us something he had learned recently on the campaign trail, which was that Michigan’s Upper Peninsula was above Wisconsin. I have no idea how he hadn’t known this. 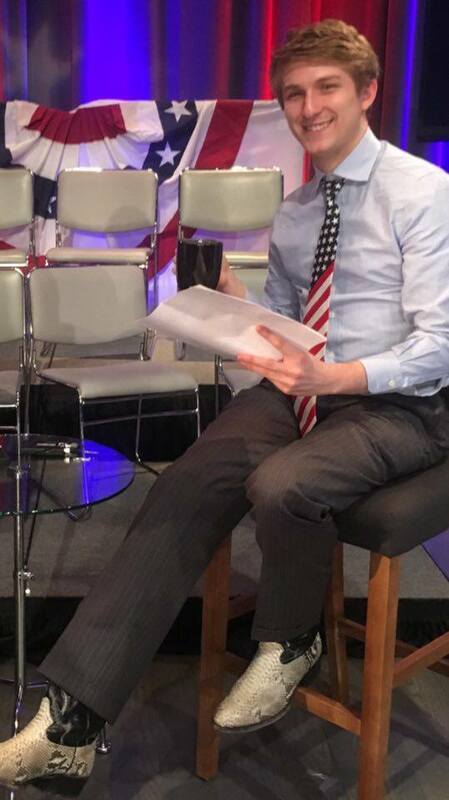 Right before the show started, the cameraman told Kasich to fix his tie, and the show then got on the road. I think the show speaks for itself, and I think Kasich did an excellent job answering the questions. I was extremely proud that our contingent of College Republicans comprised about half of those who asked questions, around a third of the audience, and a little under a quarter of those on stage. I had always wondered what happens during commercial breaks, and it won’t surprise those who know Kasich to learn that he simply kept talking, albeit more informally. At one point he turned to me and complimented my boots, which I definitely appreciated. I was impressed with how he deeply cares about these issues, and every commercial break started late because he didn’t stop talking. In between being in Congress and being elected Ohio’s Governor, Kasich did have a show on Fox so I can’t say I’m too surprised. 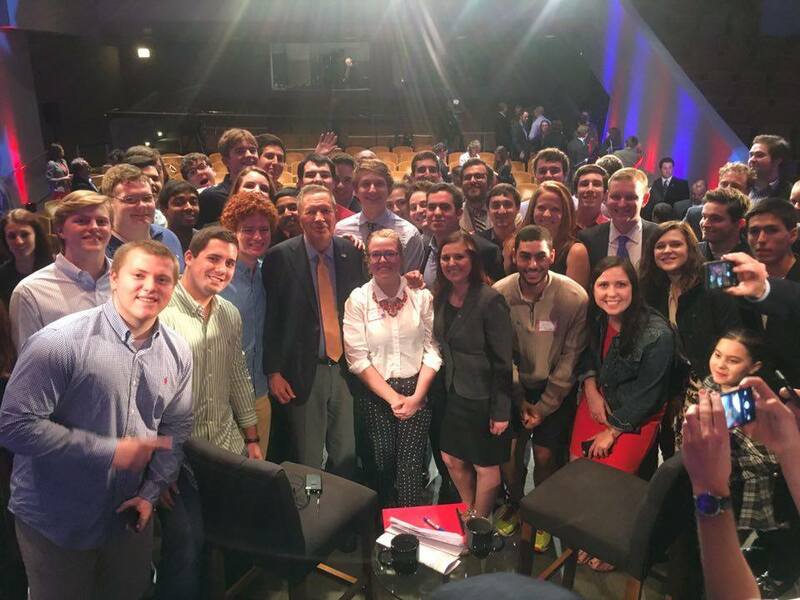 After it was over, he and Greta both had to separately fly off to Florida (presumably for last night’s GOP debate), but he took a picture with all of the College Republicans who were there before he left. After he headed out of the room, I couldn’t help but think that Griff was spot on. One hour of TV sure goes by quickly, and it’s even better when you don’t have to deal with commercials.